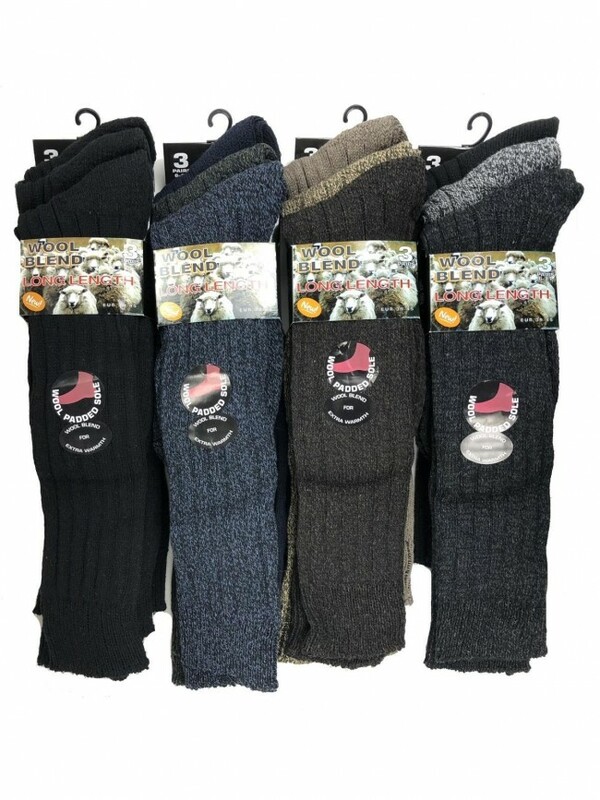 Keep your feet warm in these durable wool blend long boot socks. 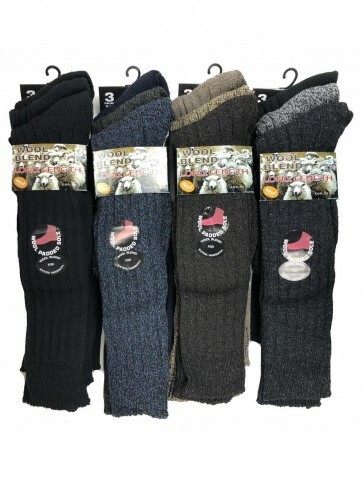 Supplied in a three pair pack (colours vary). Keep your feet and legs warm with these durable wool blend ladies' welly socks. Great for gardening, walking or general outdoor use. 35% Acrilyc, 35% Polyester, 20% Wool, 10% Mixed Fibre. Three pairs supplied in assorted colours.